I’ll be the first to admit my life is well and truly plugged in to the internet. Or more accurately it’s wirelessly connected to it. I couldn’t live without my smartphone, my laptop, my tablet and a whole host of other wireless ready devices. For me a big part of why I travel is because I love to collect the memories and I’m sure you probably love to take photos and videos while you’re on the road and share them with your friends back home. Wifi in hostels and hotels is now a must for many and I’m definitely one of them! But what do you do when you’re not at your hotel? You can get a local SIM card for your phone but this can often be a hassle and often impossible if your smartphone is locked to your phone network back home. Thankfully there’s a rather smart solution that we’ve been invited to test out. Their premise is pretty simple. 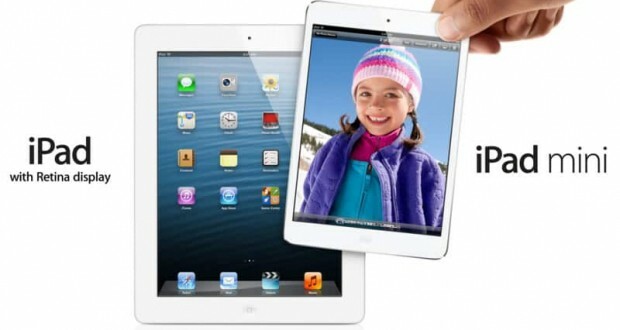 Rent a device from TEP Wireless for the duration of your trip that gives you a wifi access point to connect to. 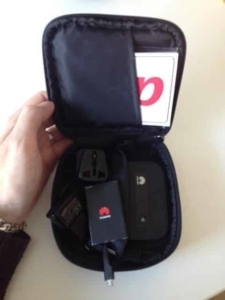 The device has a SIM card already in it for the destinations you’re travelling to. You just turn it on and connect up to 5 devices to it at any one time. There’s no need to get SIMs for all your devices or worry about when you’ll next be near a wifi hotspot. You’ll have an internet connection in your pocket whenever you’re out and about. Perfect if you’re blogging on a train, or sharing photos with your friends while you wander around a beautiful temple. Maybe at a festival in some foreign country or exploring the streets of a city you’ve always wanted to visit. So we put it to the test while out and about. Once you’ve placed your order the device will arrive in the post. All boxed up and contained within a toughened pouch to keep it safe. 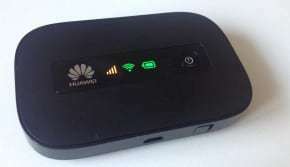 Inside I found a small black device made by HUAWEI, this is the mobile wifi device which is pretty simple to use. Just push the power button and it gets to work, connecting to a mobile phone network and creating a wifi network for you to connect to. In the pack there’s also a spare battery, a USB cable and a mains power charger, mine came with adapters for the countries I was visiting. There’s also some instructions from TEP and a handy returns envelope that’s pre-paid. There’s just one button on the wifi device so it’s pretty straight forward what I had to do to get it working. Push the power button and wait patiently for it to start up. There’s 4 icons on its display that light up when things are happening. One for the mobile signal strength, one for wifi enabled, one for battery and another which is an icon of an envelope, presumably to do with the device getting a text message which shouldn’t happen during normal use. Just a standard feature of the device. When I first turned the device on it only worked for about a minute before the device seemed to shut down, a flashing battery light indicating the battery clearly needed charging. I tried the spare battery and had the same issue, I thought this was unusual and eventually discovered the device goes in to standby mode when not in use. A flashing battery light lets you know its still operating. This wasn’t made very clear so if your device does this its probably just on standby. 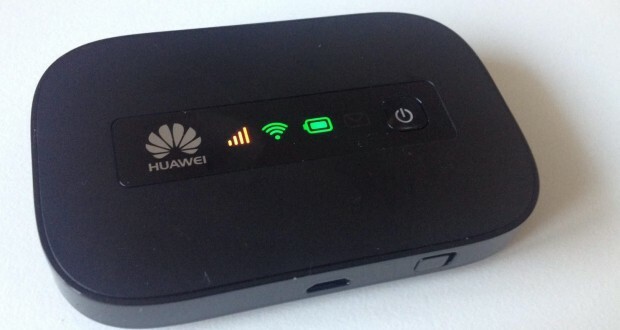 Each battery offers about 5 hours of wifi use which may not sound much but this device is designed to be used when no other wifi connection is available. With 2 batteries giving you 10 hours that should be more than enough between access to charging points. 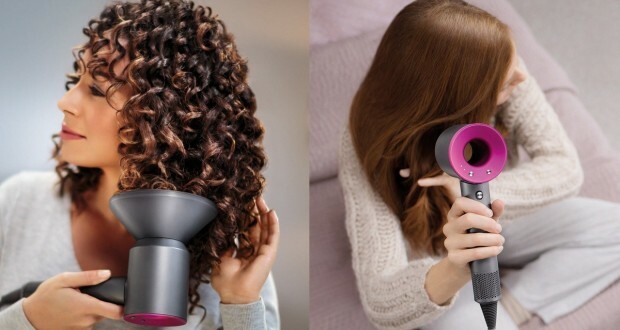 You can also power it straight from your laptop for a quick boost. Connecting to the device is super-easy. Just browse for wifi networks on your phone, tablet or laptop. The wifi network name is on a sticker on the back of the device. Enter the password that’s also there and you’ll soon be connected. You can then open up a browser or an app and start using the internet. Very simple and it could easily handle 5 devices no problem. One issue I had was that there was no way to tell how fast a mobile connection you had. When I first tried it there was clearly no 3G signal as browsing was very slow. So be warned if you’re out in rural areas where mobile transmitters are few and far between, you may get slow or potentially non-existent browsing speeds. In urban areas I found 3G without a problem. This isn’t a limitation of the device, I’d have the same problem with my mobile phone. One thing I would highly recommend is shutting down any apps on your laptop that you know connect to the internet. Just use one app at a time. So if you want to surf the net be sure that things like Skype, DropBox, Mail and software update checkers are all disabled. Otherwise these apps will all try to connect at once and slow down your browsing experience massively. They’ll also munch through your data allowance like there’s no tomorrow! When you place your order you can choose between 100MB allowance per day, more than enough for most people, or unlimited data, perfect for those that need to work and access the internet a lot. 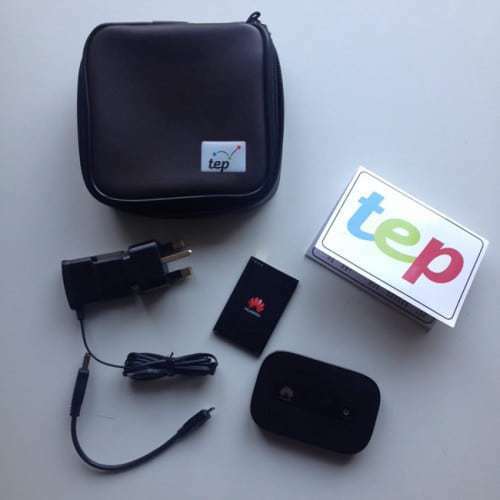 TEP Wireless is a great end-to-end service. Very easy to order my rental for the country I wanted and easy to extend my rental period if I wanted to by simply contacting TEP customer service. The device worked almost perfectly out of the box, if it wasn’t for the need to charge the batteries before I left. Out on the road I was really impressed how well it handled multiple devices and without any need for me to set things up, other than to connect the devices via wifi. Connection speeds were great in urban areas but patchy elsewhere, to be expected for a mobile network signal. Returning the device is easy too, just pop it in the pre-paid envelope and post it back or you can even drop it off at designated points. In the UK this is Heathrow airport and Paddington Station in London. I’d recommend TEP Wireless if you have an addiction to staying connected when you’re travelling, I know I do. It’s a lot easier than getting multiple SIM cards and offers internet access for those non-mobile devices like laptops, cameras and tablets. Great for long train journeys and easy access when you’re out an about. You can find more information at tepwireless.com and you can also chat to them on Twitter and Facebook if you need any assistance. It’s a pretty simple service to understand and considering the connectivity it gives you, it’s pretty good value for money.